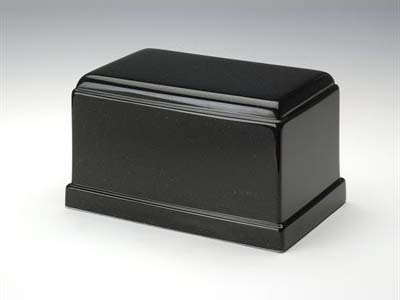 Made of plastic with the look of granite. 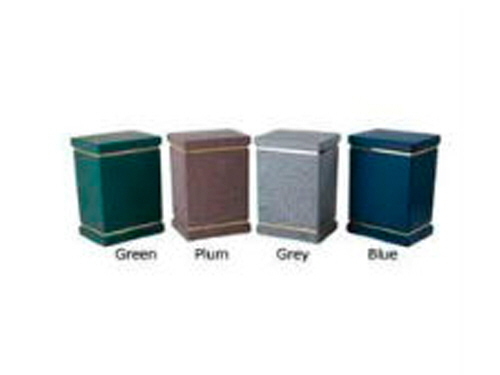 Comes in four colors: dusty rose, light gray, blue and green. 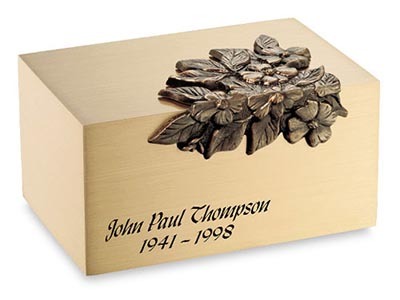 Engraved brass nameplate is included. 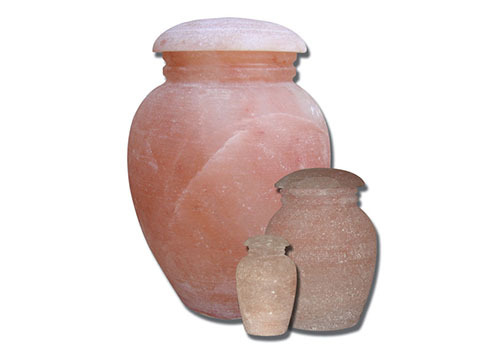 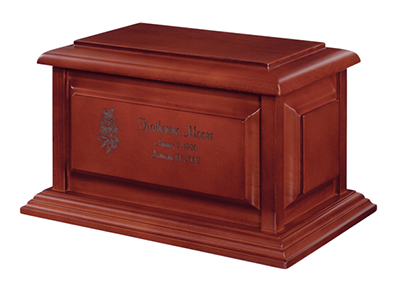 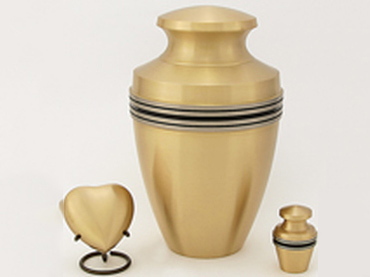 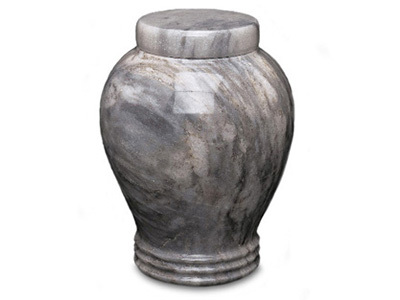 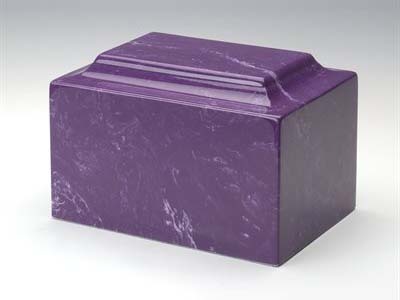 Adult size urn, personalization is included in cost. 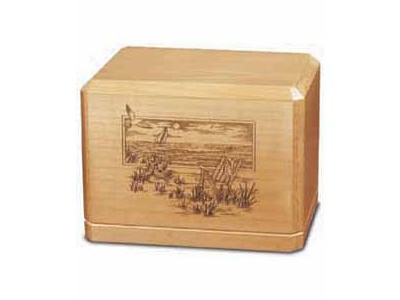 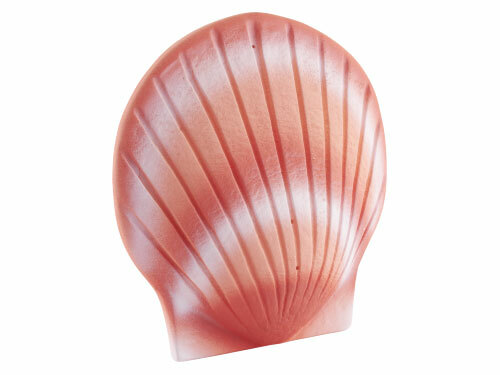 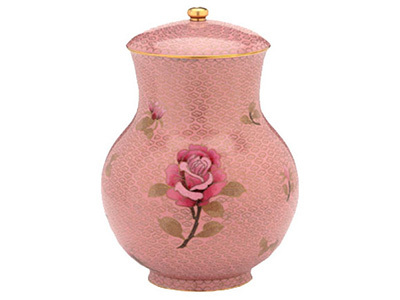 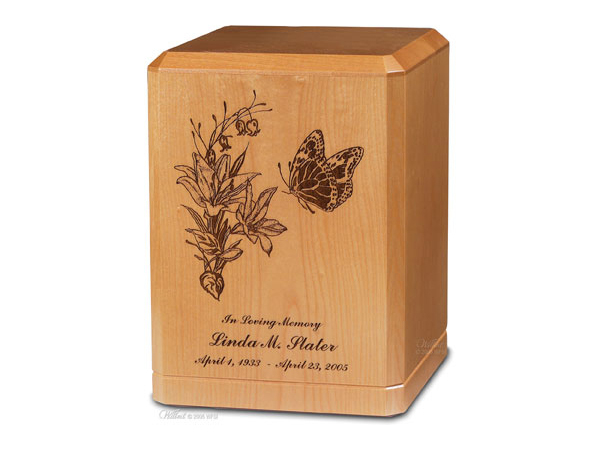 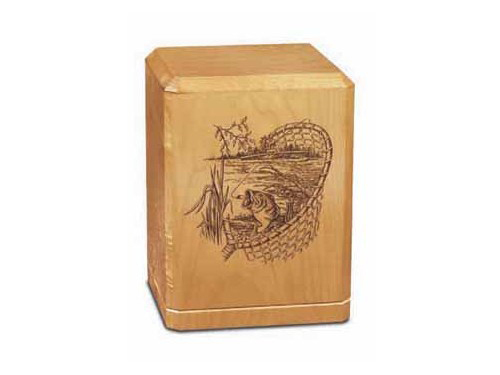 Clip Art Urns allow families to choose a pre-existing image that reflects their loved one's personality. 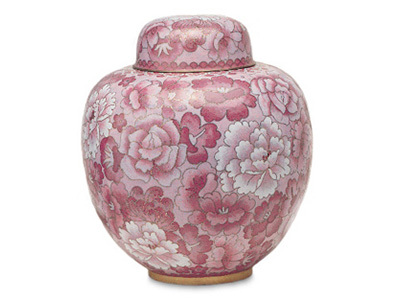 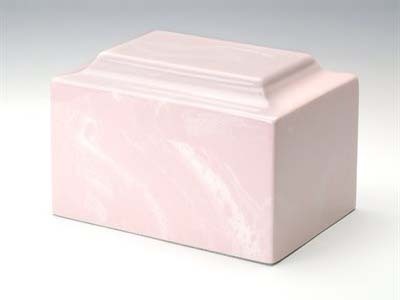 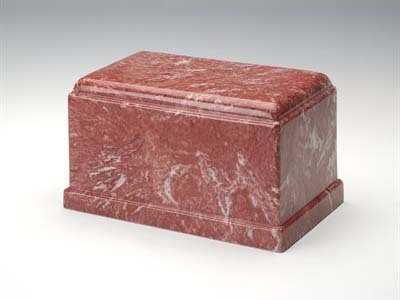 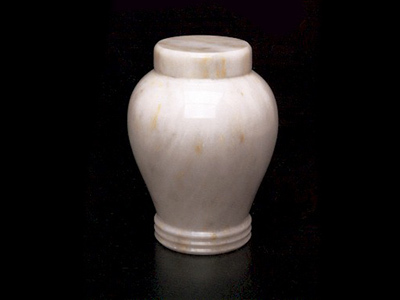 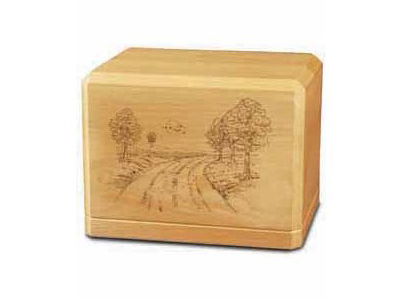 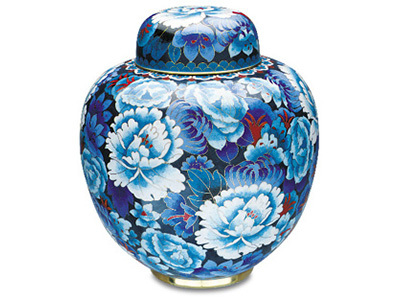 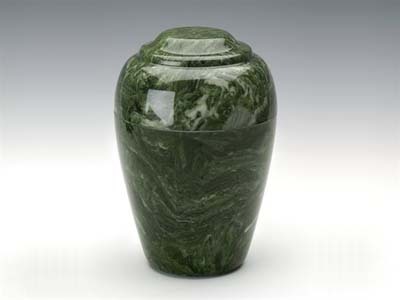 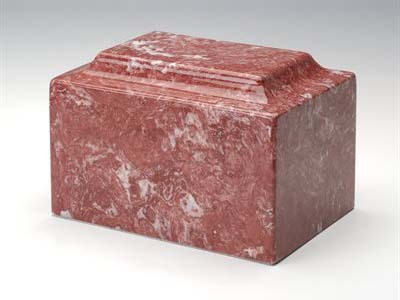 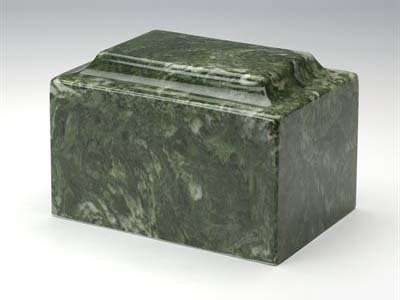 Hand-selected wood and keen attention to detail ensure a quality urn. 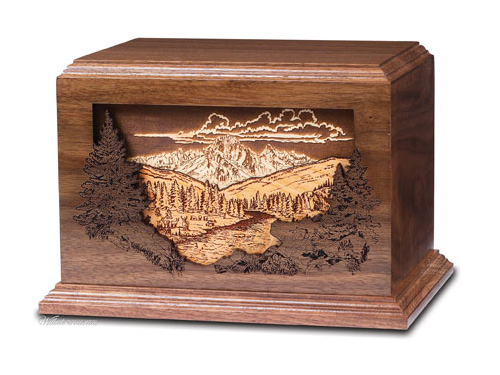 A honey maple finish highlights the art's splendor and accents the wood's natural beauty. 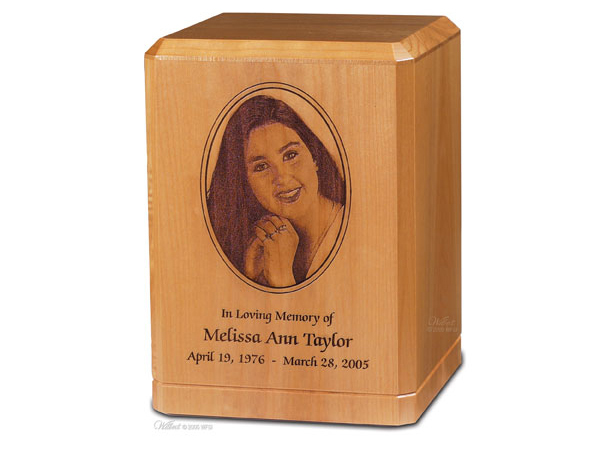 Personalization on front or top (included). 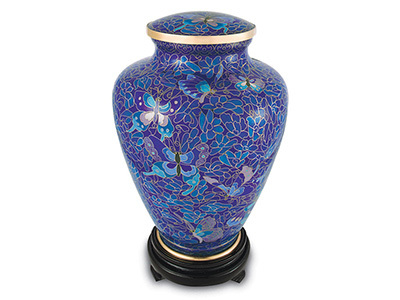 Custom Image Urns allow families to choose a photo or an image that reflects a loved one's personality for a treasured remembrance. 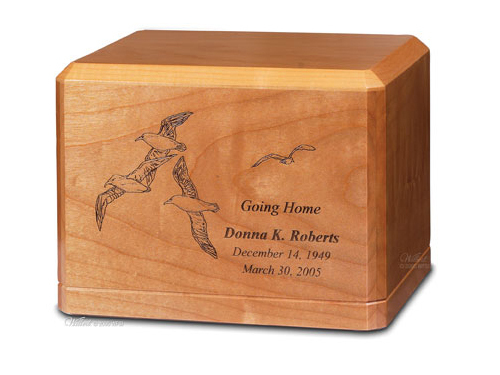 A finish highlights the relief of the image and enhances the wood's beauty. 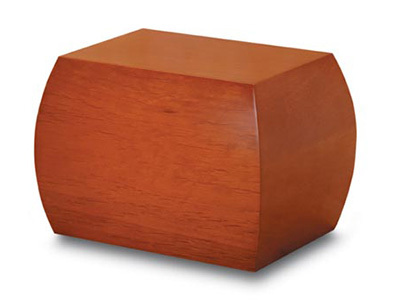 Maple with honey maple finish. 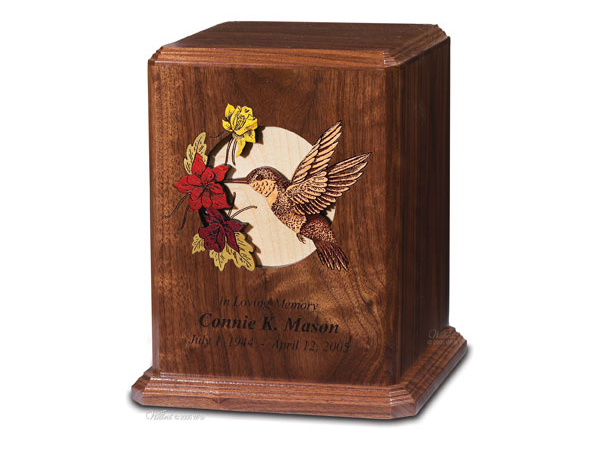 Dimensional Urns provide peaceful thoughts through calming images on walnut enhanced by domestic and exotic inlaid hardwoods. 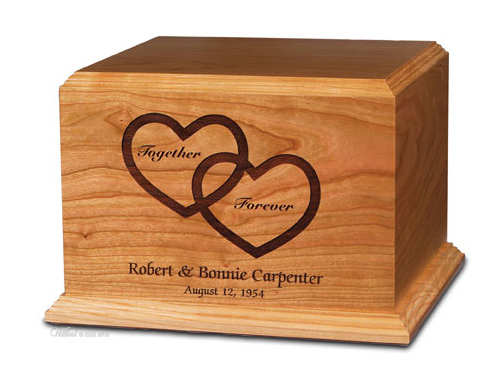 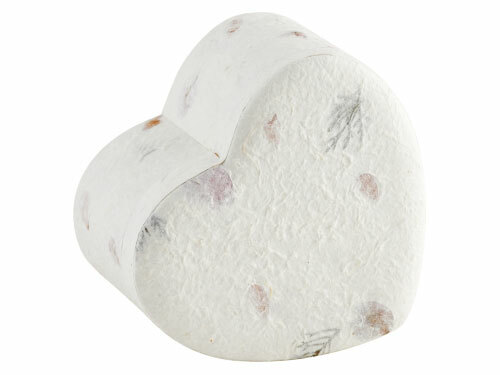 Each Together Forever Companion Urn is made by hand from cherry hardwood and engraved with "Together Forever" entwined hearts. 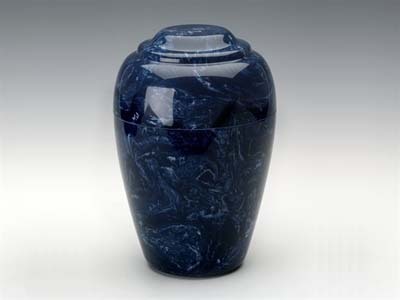 The urn also freatures a removable divider. 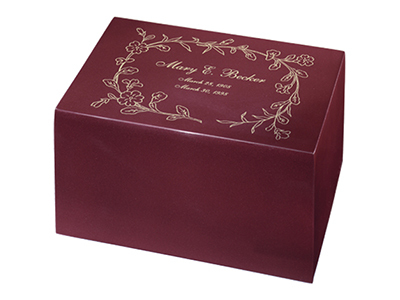 Personalization on top or front (included). 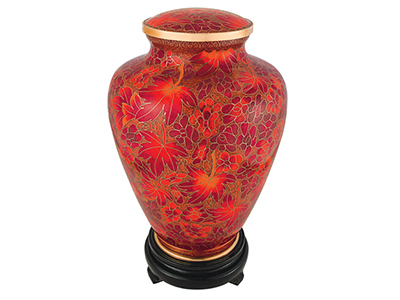 Most commonly is the anniversary date and names.